I was strolling down the aisles of Michael’s minding my own business, as I do way too often, when I came across these felt sticker hearts. 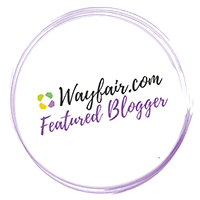 They were only $2.99, the perfect colors of pink, and had built in adhesive – perfect for making a cute garland and wall art to hang above my desk! To make the garland, you simply peel off the paper covering the sticky surface and then sandwich the felt heart and the paper with string in the middle. Keep adding more hearts until you make the garland as long as you wish! I hung mine in many places before deciding I liked it best on my lamp. For the wall art, I made some quick measurements with a ruler to evenly space white, light pink, dark pink, and red hearts across the paper. I finished it by continuing the pattern all the way down the length of the paper. That’s it – peel, stick, repeat! I had planned to make some sort of heart decor for Valentine’s Day to share with you all, but little did I realize it would be so easy and so inexpensive. Both projects cost me less than $3 each in supplies (I used the same package of heart stickers for both projects). Even better – no fancy supplies and little to no waste! For more detail on how I made these DIY Valentine’s Day decorations, see the instructions below. 1. Start by emptying out your package of foam sticker hearts and arrange them in a pattern that you like (for instance white – pink – red, repeat). 2. Cut a piece of string or thin ribbon as long as you would like the garland to be. Start attaching your hearts by halfway peeling off the paper from the sticky back, sliding the string in between the layers, and then sticking the layers back together. 3. Repeat the heart application process until you reach your desired length. Hang up with a little tape, or just arrange it on a table for a cute and festive effect. 1. 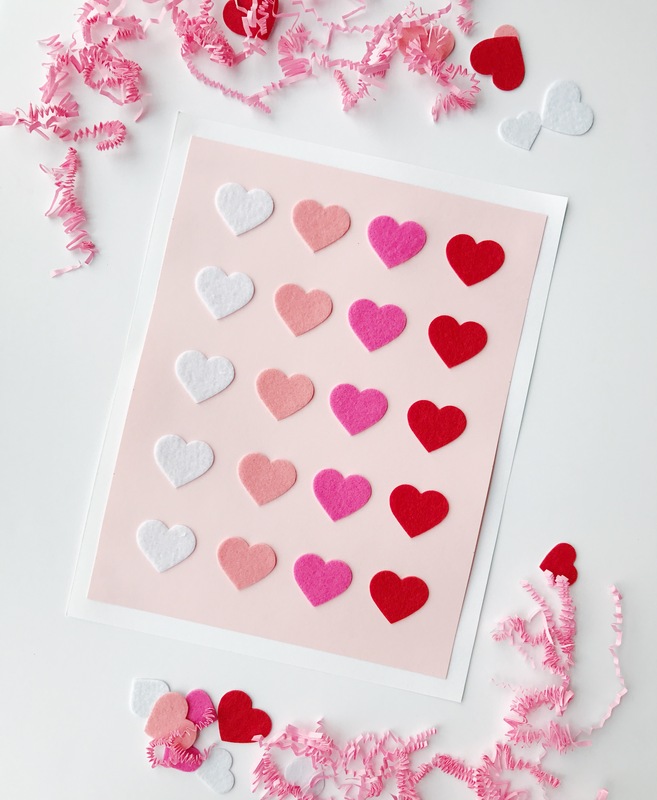 Take the larger sized hearts from the package and arrange them (without sticking them down) on your 8.5″ x 11″ pink paper so that you have four hearts going across and 5 hearts going down. I arranged mine to have columns of white, light pink, dark pink, and red. 2. NOTE: If you do not use the same sized hearts as I did and they do not appear to fit on the paper the same way mine are arranged, use your own set of measurements to evenly space the hearts. Take your ruler and pencil and measure 1.5″ from the side of the paper and 1″ from the bottom of the paper. Make a small dot. This is where the bottom tip of your first white heart will go. Next, do the same thing in the other bottom corner of the paper to locate where the tip of the red heart will go. Once you have these two hearts placed, add in the light pink and dark pink hearts in between along the same height. Once you have the bottom row completed, continue marking the same dots for the tips of the hearts 2″ above the last row until you have five rows of dots total. 3. Complete the artwork by finally peeling off the backs of the stickers and placing them down with the bottom tip of each heart touching each of the dots you drew in step 2. If you wish to add a border to the pink paper like I did, use a rolled piece of tape on each corner of the pink paper and stick it to the 12″ x 12″ paper, leaving 1/2″ of white showing on each side. Cut off the excess paper. This is definitely the easiest DIY ever!! SO CUTE!!!!!!!!! I am totally making this. Thanks!!! I’m working on doing more easy ones – it’s the best type! I know!!! I’ve been trying to do that too. Thanks so much, glad you liked them! Sometimes it’s great to have a craft that’s super easy too – gotta love when it’s basically fool proof!